A painting of the late Oliver Mtukudzi by a South African artist called Rasta has disappointed many who have taken to Twitter to express it. 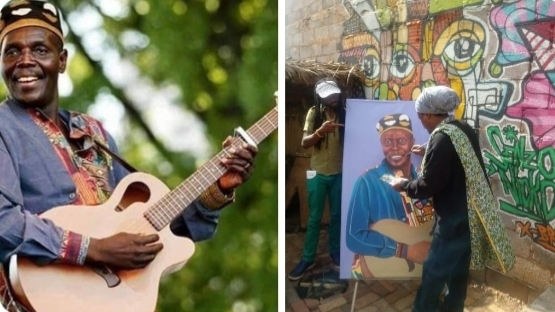 The painting which many say does not resemble Mtukudzi, has gotten Rasta criticised for not respecting the memory of the late music icon. The artist’s real name is called Lebani Sirenje. According to some South African news websites, this is not the first time Rasta has disappointed the living with portraits of the famous dead that don’t resemble them.